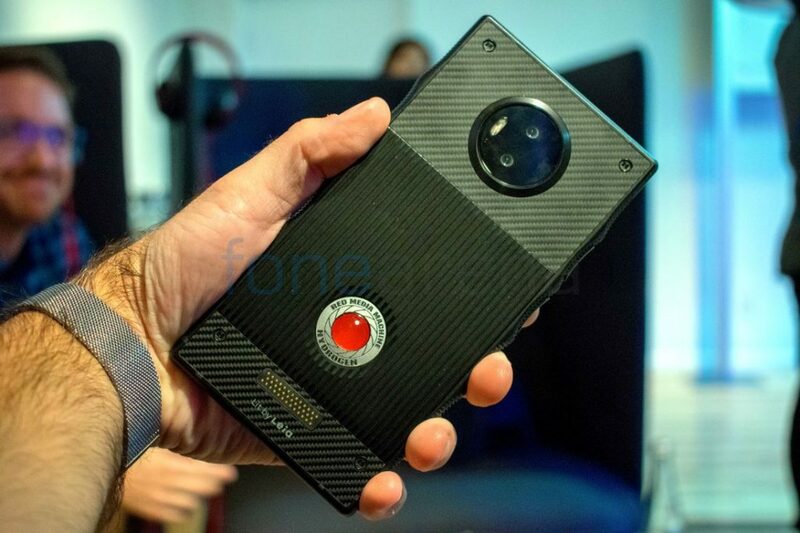 RED announced HYDROGEN ONE Android smartphone with world’s first holgraphic display last year. 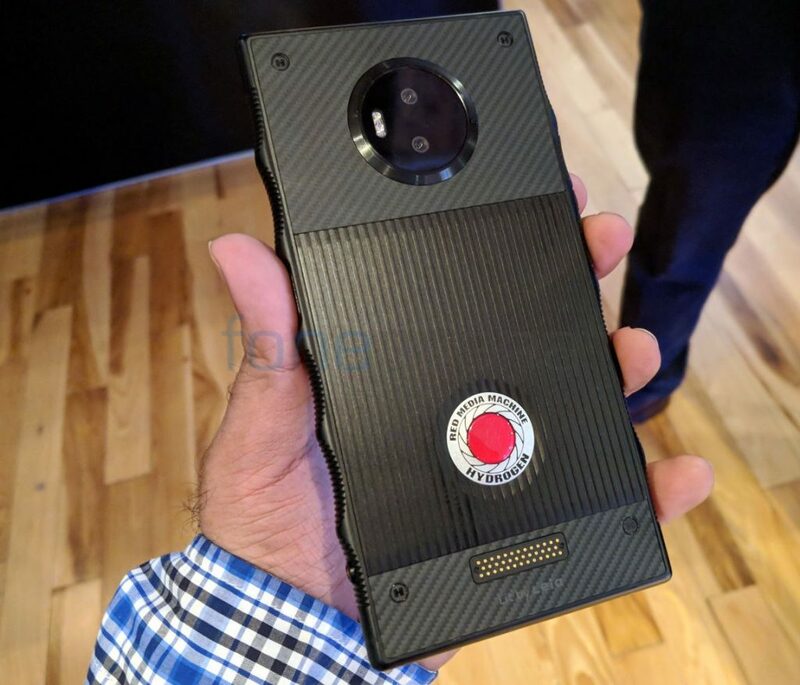 We got to check out the phone at its event in NYC last week, where it confirmed the complete specifications and also detailed the content strategy. 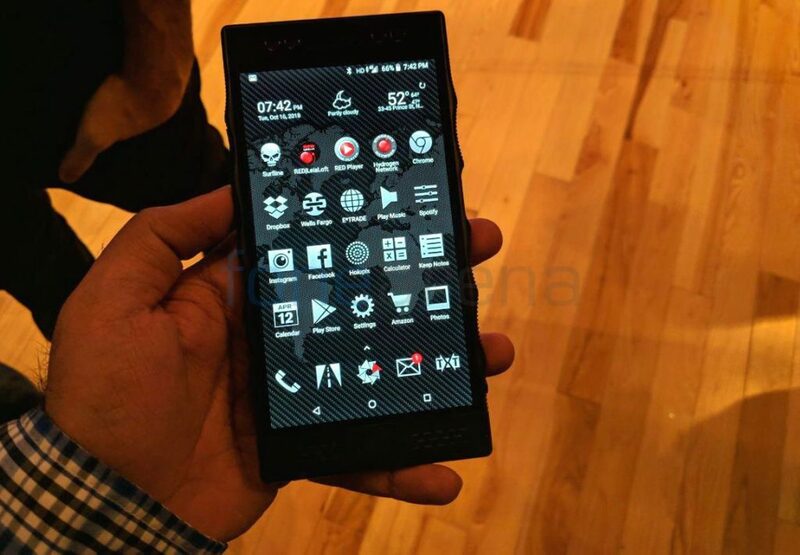 Here is the photo gallery of the smartphone. The phone has 5.7-inch QHD 4-View Lightfield Display that creates an experience that goes beyond 3D—with no glasses required. “Powered by Nanotechnology, the display delivers realistic depth, light and textures bringing content to life in fundamentally new ways,” says the company. It is powered by Snapdragon 835 with 6GB of RAM and runs Android 8.1 (Oreo). 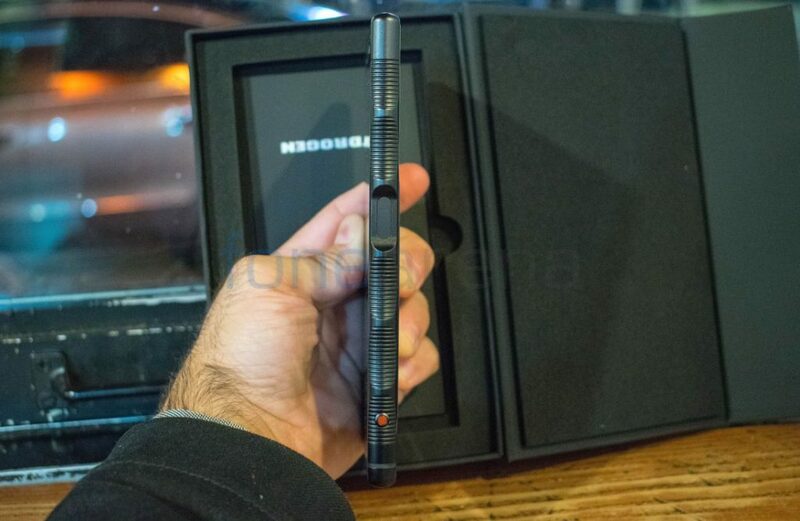 The main reason for the bulky body is due to the durable carbon fiber body. It has intuitive, functional RED designed sides and controls. 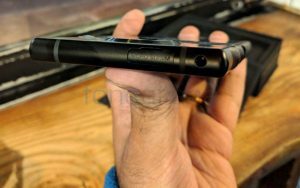 There is also a side-mounted fingerprint sensor. 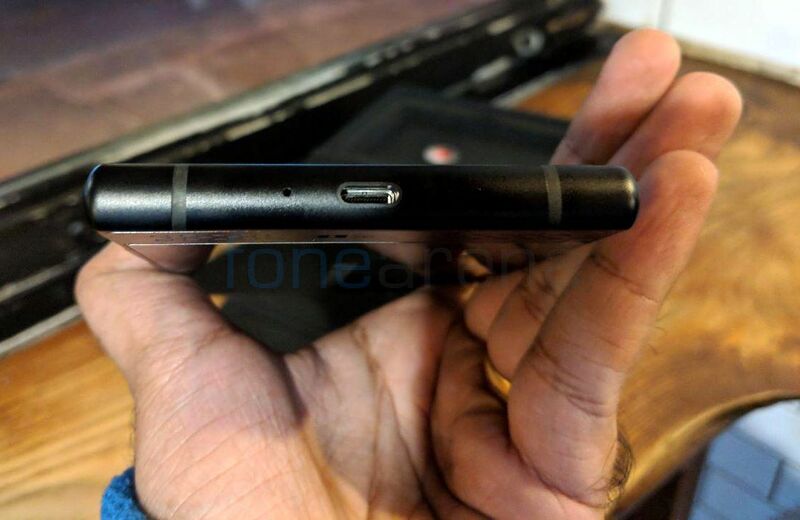 The 3.5mm audio jack is present on the top, while the USB Type-C poart and the microphone is present on the bottom. You can see the antenna lines on the top and bottom parts of the phone. It has Holographic 4-View (H4V) recording front and back offering 3D experience, thanks to 12-megapixel dual rear and 8-megapixel dual front cameras that create a depth map and adding two additional views (4V) real time. 3D photos taken with the phone are saved as JPEG files with the 3D data in metadata, so they automatically display as 2D photos on any 2D devices they’re shared with. It packs a 4500mAh battery. It has proprietary A3D Multi-dimensional surround sound. 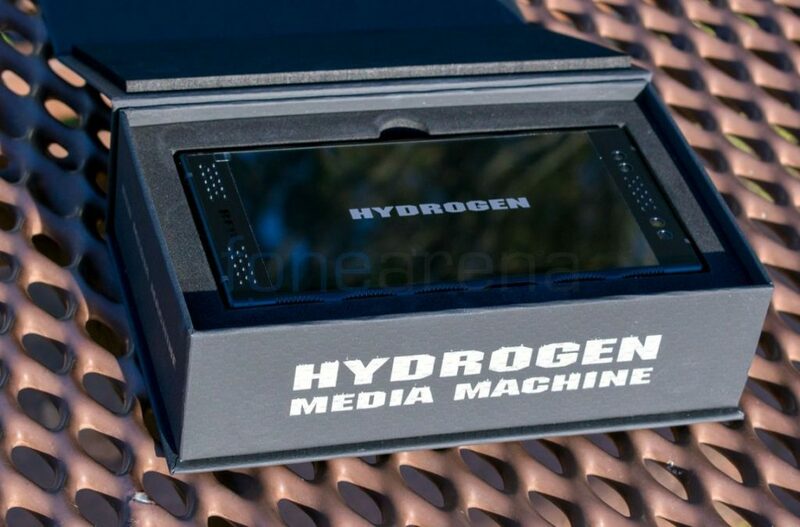 The company says that it is a modular, cinema-capable media machine that lets you add a power pack for increased battery life, expand the phone’s memory or attach a camera module with interchangeable lens mounts. These modules will be available in 2019. The phone went on pre-order last year at $1,195 (Rs. 87,550 approx.) for aluminium version and $1,595 (Rs. 1,16,770 approx.) for titanium version. It is already shipping out to people those who pre-ordered.